Home : Technical Resources : Education Resources : What is Lime Mortar? How Lime & Sand Are The Perfect Blend for Historic Restorations. 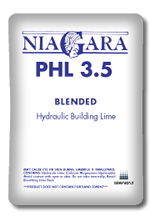 Utilizing technology that dates back to the Roman Empire, our Niagara PHL Limes are hydraulic limes in which we take the finest quality double slaked low temperature fired hydrated lime and blend it with our special pozzolan (similar to volcanic ash) to yield a consistent and long lasting material that conforms to ASTM C1707-09. These limes contain no Portland Cement or Pulverized Fly Ash. It’s actually a blend of materials that have been around forever, and have an established track record in building construction. 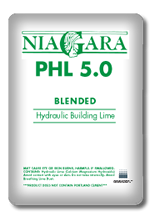 Niagara Lime has amazing workability, vapor permeability, flexibility, and boasts a beautiful naturally white color, all of which are qualities one looks for in a hydraulic lime. Whether you are laying brick or stone, repointing historic masonry, stuccoing, or plastering see for yourself why masons across the country describe Lime Mortar as “the only mortar I ever want to work with”. 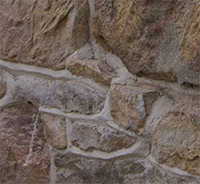 Our Historic Lime Mortar line of Premixed mortars makes your job easier. Pre-blended lime (Either PHL 3.5 or PHL 5.0) and sand are specially blended to create the exact proportions for the job. We also offer a fully customizable selection of colors to meet the needs of your next restoration project. Moderately Hydraulic Lime with amazing workability and incredible brightness. Incredible workability at 2.75 to 3 parts sand to 1 part lime! Available in uncolored (off white), custom colored and our range of 24 stock colors. Eminently Hydraulic Lime with amazing workability and incredible brightness. Incredible workability at 2.75 parts sand to 1 part lime!